The old adage April showers brings May flowers may be true but April and May also bring more risk of severe weather. April and May are generally the most active months in North Carolina for tornadoes. As well. Tornadoes strike quickly and with incredible velocity. Some tornadoes have been reported to have wind speeds of 300 miles per hours. They can uproot trees, tear structures off their foundations and make the most innocuous items into deadly projectiles. 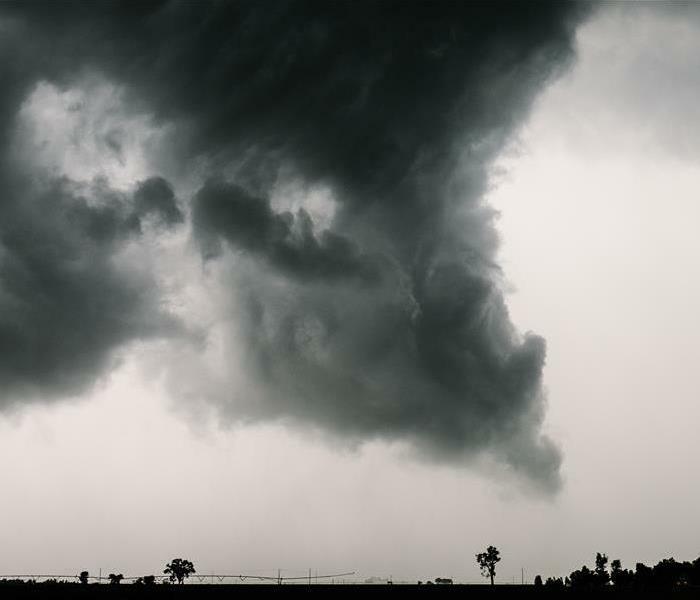 The safest place for yourself and your family is a basement or s storm cellar. If that is unavailable an interior room on the lowest level is your next best location. In addition to knowing where to go in the event of a storm having a battery powered weather radio is very important. The average warning time for a tornado is 13 minutes which means it is 13 minutes from the time the warning is issued to the projected landfall at your location. With only 13 minutes to seek shelter practicing your family’s tornado drill regularly will save critical time. An electrical short in a kitchen appliance caused major damage in this Thomasville home. According to the National Fire Protection Association, 92 percent of all civilian structure fire deaths in 2011, resulted from home structure fires. Not surprisingly, kitchens are the leading area of origin for home structure fires. Forty-two percent of such fires, which peak during the dinner hours between 5 p.m. and 8 p.m., began in the kitchen. And while smoke alarms may not prevent fires, they can prevent deaths stemming from home structure fires. Three out of five reported home deaths resulted from fires in homes with no smoke alarms or homes with smoke alarms that were not in operation. If the unimaginable does happen to your Thomasville home having an expert to assist you in restoring your property is important. The experts of SERVPRO of Lexington / Thomasville have more than two decades of experience in restoration and mitigation services so if they unthinkable happens we’re here to help. Give us a call today at 336-224-2565 to learn more about our services. Mold Removal-Do It Yourself or Hire a Professional? As you can see in this photo the first indication that this is mold not mildew is its black or dark green coloring. You’ve discovered mold growing in the closet of your Arcadia home and you think ‘this is no big deal I can do it myself’ but before you begin here are a few things you need to consider. Consider where the mold is growing. Mold likes warm moist areas of your home so if you see a little on a shower tile or grout odds are you have a ventilation issue and a little air flow and elbow grease is all you need. But if like in this scenario you’ve discovered mold in a typically dry place you may have and underlying issue such as a leaking pipe behind the wall. Look at the surface where the mold is growing. If the mold is on a nonporous surface such as type a solution of one-part bleach to one-part water should do the trick. But, if the mold is on a porous surface such as drywall, studs or cabinets the bleach and water mixture will be ineffective. You will only kill the surface mold while feeding the mold spores embedded in the surface. The mold will come back, and odds are the affected area will be larger. If you have mold and have questions, let the professional of SERVPRO of Lexington / Thomasville come out and assess the situation. Our team will come out and check out the issue, try to discover the source of the damage and give our opinion on your best course of action-all for free. If you would like to schedule your appointment, give us a call today at 336-224-2565. The words Mold and Mildew are often used interchangeably the realty is the are two different species within the fungi family. And thus, mold and mildew react differently to the environment and need to be cleaning up differently as well. Mold is one of mother natures major decomposition sources. Mold consumes “dead” or decaying” organic materials such as a fallen tree or leaves as a food source. But unfortunately, mold cannot tell the difference between a dead tree and your drywall. Mold reproduces by releasing a very small seed into the environment called a spore. Theses spores use indoor or outdoor air currents to travel and colonize in other locations. Think of them as a dandelion seed floating along looking for a place to land. When this spore lands all it needs to begin to colonize is a water source and organic material. Mold will not only colonize on the surface of the organic material but penetrate beneath the surface quickly causing structural damage if left un treated. Thus, finding a removing mold in the early stages is very important to prevent wide spread damage to your property. Mildew on the other hand is primarily a parasite meaning is lives off a living host such as plants. It can be found in your home in damp or moist locations but unlike mold mildew remains on the surface and can be wiped away easily. How can you tell the difference between mold or mildew? 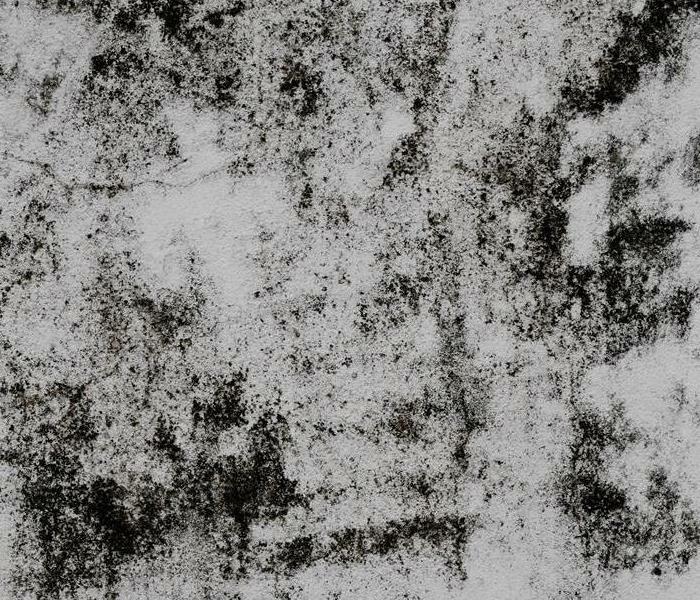 Typically, active colonies of mold appear black or green while mildew looks grey or white. Also, if you pour bleach on the surface mildew will die and not come back while the surface mold may be killed but it will rapidly reappear because it permeates the material. 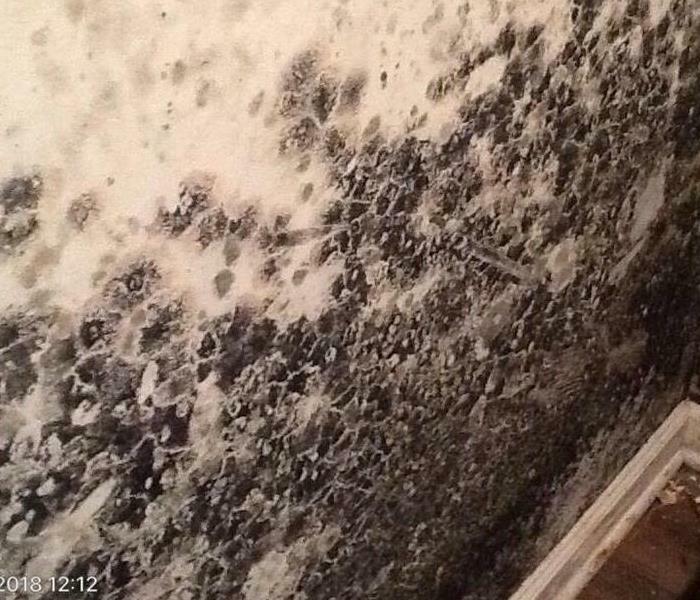 If you suspect you have an issue with mold give the experts at SERVPRO of Lexington / Thomasville a call at 336-224-2565 for your no cost assessment today. It Looks Dry I Should Be Fine Right? Moisture readings are critical to ensure proper drying of a structure. Many homeowners who have experienced a water loss think if its dry on the surface then they should be OK. In order to understand how a water damage can affect your property it is important to understand how water reacts to materials. Water travels from “wet to dry” meaning water will travel the path of least resistance. So, while the surface may be dry the subsurface, drywall or carpet padding may be wet. Moisture lurking beneath the surface can cause additional damage such as mold or even structural damage. But how can you tell if there is unseen moisture? At SERVPRO of Lexington / Thomasville we use moisture meters that register the amount of moisture in a material compared to the dry reading of the same material. In addition, we use visual inspection and we “follow the water” to ensure all damaged is found because sometimes additional damage is found unbeknownst to the property owner. 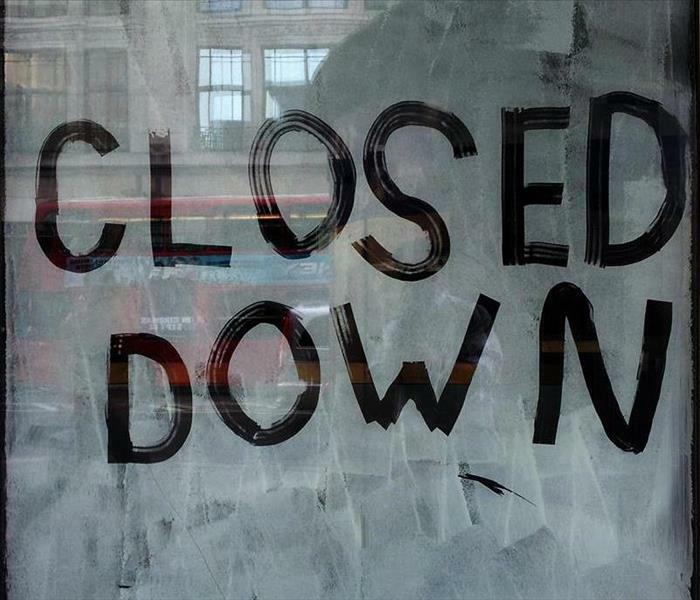 That is why when your home or business experiences a water loss calling a trained restoration and mitigation specialist to check moisture levels and any possible secondary damage unseen by the naked eye is so very important. Our team of highly trained technicians will work tirelessly to properly dry your structure, repair any damage and bring your home back to preloss conditions. If you would like additional information, learn more about our 24-hour emergency services or schedule a no cost assessment of your property give us a call at 336-224-2565. SERVPRO of Lexington/Thomasville's Marketing Manager, Betty Vanhoy won True North Award winner, which spotlights an individual North Davidson Chamber of Commerce member whose leadership and volunteerism positively impacts the community. The winner is selected by a committee comprised of past winners. Vanhoy, who is a lifelong resident of Davidson county, is actively involved in the community. She is an ambassador for the Lexington Area Chamber of Commerce and she is vice president of the Northern Davidson Chamber and helps with its website and newsletter. She is a member of the Downtown Lexington Lion’s Club and part of North Davidson’s marching band booster club. “Honestly I was shocked, speechless and a bit embarrassed. I love helping, I don’t care about the accolades that go along with it. I like to be under the radar. I want to make a difference, but not be on center stage. But it’s nice to know that I was recognized for the work that I do." Vanhoy said she likes to stay busy and give back to her community, and that her boss at SERVPRO, Craig Harmon, encourages employees to be community activists. Said that it’s important that people make an impact in the world around them, and that it doesn’t matter whether the help is big or small. Does Your Homeowners Insurance Cover Mold Damage? 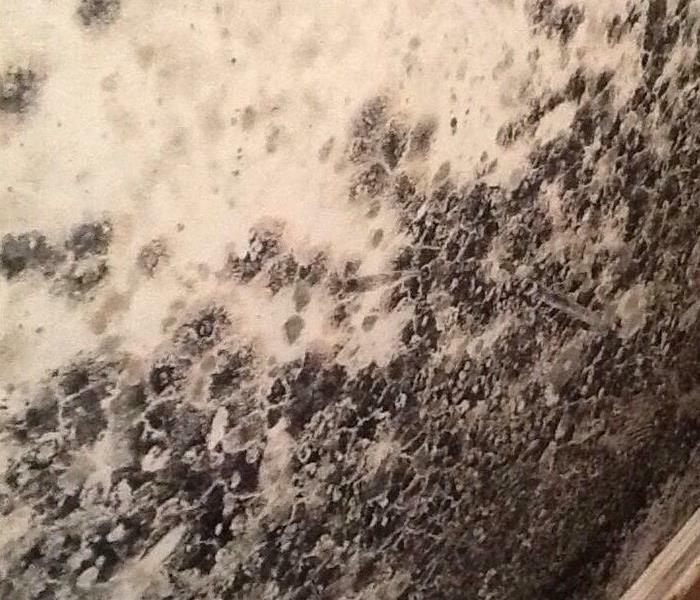 This mold was caused by a leaking water pipe. While this question is quite simple the answer is not. Generally speaking, some homeowners’ policies do cover mold damage. But to get the answer you need to talk to your insurance agent for your coverage and deductibles. Something to keep in mind even if your policy covers mold is that there are some limits and exclusions. As an example, if your home or business has mold damage caused by a maintenance issue such as a long-standing water leak, the water and mold damage may not be covered. These cases will be reviewed, and a decision made on a case by case issue with your adjuster. In addition, most homeowner’s policies have a cap or limit on the amount they will cover in regard to mold damage. That’s why it’s so important to take care of any water damage quickly. If you think your home or business has water or mold damage give us a call at 336-224-2565 and our team of highly trained technicians will schedule a time to inspect your property and report their findings. And, if damage is discovered, they will begin the clean up and restoration process. Knowing who to trust with one of your biggest investments is critical so calling the experts of SERVPRO of Lexington / Thomasville is a way to ensure you have trusted professionals on site to fix an damage promptly and professionally. Soot Tags at this Thomasville business. When you’ve experienced fire damage to your Thomasville home or business you may have questions about some of the more unusual damage you see. One of the biggest questions we get is ‘what are those black cobwebs?’ In fact, those black cobwebs are not webs at all. They are called Soot Tags. Soot tags occur when a synthetic or petroleum base burns in a fire. When a fire burns smoke and soot circulate, moving towards cooler air to try to equalize the environment and when the soot hits the cooler air it begins to form chains or “webs”. And while it’s important to note these tags look similar to cobwebs, you can’t simply wipe them away. Your home or business is made of hundreds of different materials. Each of these material reacts differently to fire damage thus needs to be cleaned differently. Petroleum-based damage requires special cleaning techniques to ensure secondary damage does not occur. That is why it is so important to call the experts such as those at SERVPRO of Lexington / Thomasville. Our highly trained technicians are experts in property damage repair and with our 24-hour emergency response are available to assist you whenever you need us. Give us a call today at 336-224-2565 to learn more about our cleanup and restoration services. 4/12/2019 - April Showers Bring May Storms??? 4/2/2019 - Did you know? 3/25/2019 - Mold Removal-Do It Yourself or Hire a Professional? 3/21/2019 - Did you know? 3/20/2019 - It Looks Dry I Should Be Fine Right? 3/4/2019 - Does Your Homeowners Insurance Cover Mold Damage? 2/14/2019 - What are Soot Tags?